Network Fun!!! 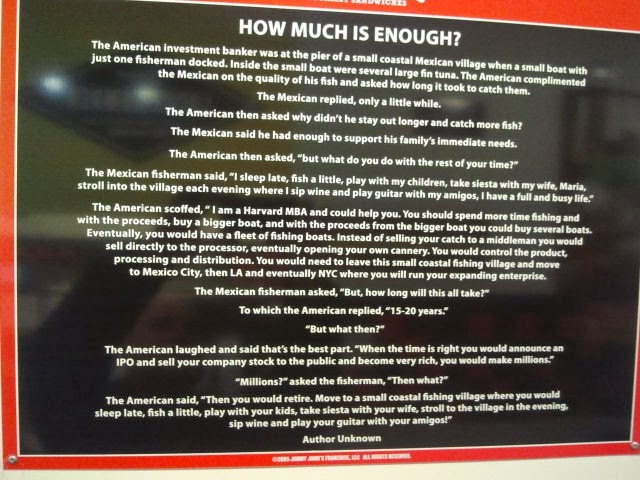 -- A Security/Network Engineer's Blog: How Much Is Enough? I found this on the wall at a Jimmie Johns. I like it.